Softer mornings, deeper connection with our words, attention to the truth of details, the desire to be still, the ability to observe, visits from our muse, the tender reward of discipline, the skill of giving thought, feeling and inspiration form, seeds to plant, writerly-friends to cheer us along, and enough hours to read all those books piled at out bedsides …. these are among the things we want more of. So concluded the group of writers who took part in the Write Your Way In workshop, facilitated by Write-Now, and hosted by The MAC Project / Poetry in McGregor. Inspired by nature, gardens, Dani’s visual art and the work of other poets in La Galleria, we wrote and read, and wrote some more … short prose pieces and poems of all sorts, (including free verse, cinquains, centos, and fibonnaci!). Huge thanks to Jenny Johnson of The MAC project for the behind-the-scenes work which made it possible for us to sink into such a lovely writing space without a care. Thanks to Temenos Retreat for providing great accommodation, hospitality, a poetry library and magical garden. Thanks to Debbie Happl-Reace for leading the sunrise walk. Thanks to Lies and Hester for access to their beautiful garden. And thanks to Dani and Manuela Debellis of La Galleria for hosting the workshop sessions in their beautiful gallery. What a pleasure to write among such stunning images. as the tick-tock clock stops. leave the temporal for temple time. your slo-mo feet find the labyrinth. that rings the planet to beyond. Just want to thank you for such excellent organisation this weekend. You always answer e mails so helpfully and it has been a real pleasure to be part of the poetry festival. The ‘dinner money’ was a lovely surprise. I returned from the weekend feeling enriched and happy. So many friends old and new sharing a love of words. What a wonderful 2017 Festival! Each Festival has been special, but there was certainly a sense of “Best” this weekend. Thank you to all of you, for putting it together. The focus on ‘Reflection’ which one could interpret in any number of ways. Don and I arrived from Cape Town ‘spun out’ after great pressure at work and too many commitments. When we arrived we just went to The Well and sought ‘stillness’. We walked in the Garden, and walked among Lara’s hanging mirrors and poems. I’m sorry we missed the Quiz, but we were in the Garden. And I’m sorry we missed the Welcome Breakfast. But we were on a cosy electric blanket. Thanks once again. And to Daniele & Manuela for the beautiful La Galleria as my venue. This event has become one of the highlights of my year. I always come away refreshed and empowered; and with my ‘Stillness’ Button is reset. On behalf of the Tebaldi’s and Temenos Teams a grateful thank you for your efficient and spontaneous energy over the weekend. We really appreciated the positive response we received from all members of the festival committee. There was a wonderful camaraderie around and we had great fun. There were very few blips! I have thanked the wineries for their participation and sponsorship on the wines. See you on Wednesday at our gathering. I knew that a fabulous weekend was about to begin and here I am back at my office desk in Cape Town still feeling extremely overwhelmed by the wonderful weekend. I met so many beautiful people and attended many performances, each amazing and delightful! I wish I could have attended more! Thank you everyone for a fantastic, busy, exciting, uplifting, exhilarating weekend of poetry, talent and inspiration. It was an honour to open Athol Williams session yesterday at Café Gourmet (Athol invited me to open for him with 2 of my poems) – a great honour indeed!!! I enjoyed presenting at Poets Corner and hope sincerely that next year I will be given the privilege and honour to be invited back. Montagu Accapela was a a treat. Well it’s back to work now but I could not let the day pass me by without saying a very big thank you. Thanks also for a lovely “Sop ‘n Dop” evening last night…..
really sorry I never got to say goodbye to you all but it wont be long till we meet again. Temenos is calling and I will return soon. It was my first visit to the festival and I enjoyed the two Open Mic sessions very much. Well done to all of the organisers and participants. Thank you Jennifer to you and the team for a great weekend. I would love to be involved again next year. Net ‘n kort dankie-sê dat julle my weereens gevra het om by julle fees te kom optree. Dit word baie waardeer – ook vir die uitstalruimte, die verblyf en die gasvryheid. Ek sluit ook sommer ‘n foto in wat ek by Temenos geneem het. My slaapplek was van hoogstaande gehalte (Dankie Ina en jou span!) en die venue was plekke wat die digkuns beslis stimuleer! En dan het ek met wonderlike en opwindende nuwe digters kennis gemaak! McGregor sorg dat die Poësie op ‘n wonderlike spasie op die oomblik is! Ek haal my barét vir julle af (ja, ek dra mos ‘n swarte) vir die wonderlike werk wat jul doen! Ek weet dis voortydig, maar ek sal graag, as ek volgende jaar weer mag kom meer as een sessie wou behartig! Please convey my congratulations to the McGregor Poetry Festival Team. I think it was a very successful event and as usual filled with inspiration and amazing new and established poets. I learnt a lot and also made many new friends and that is what it is really all about. Thank you, thank you for making this event a possibility. Well done on excellent organisation and the very meaningful support we all received from accommodation hosts, the restaurants and everyone supporting this magic gathering of creative people. Thank you very much for all your help in the run up to, and during the festival itself. Again we had a wonderful time, and left completely inspired. Thank you for the opportunity to perform at this special festival. A short note to congratulate you on creating another beautiful festival experience. The organisation is impossible to fault and we all thought you and the committee did an exceptional job at making sure the line-up is as varied and diverse as our complicated and very special country. We are already looking forward to next year’s programme and thinking of booking our accommodation asap. Are the dates for the 2018 Poetry Festival set yet? I was just about to write a grateful thanks to you for the opportunity to take part in McGregor poetry fest – tons of lovely moments – Karin at Gourmet cafe and putting up artworks, life stories and unexpected responses and feedback re. poems, racing up and down from the stillness centre to backpackers and getting lost, being stranded the first night then being emergency housed by poets (ps I got a lift to and from the backpackers the next day so I didn’t need the shuttle in the end). Meeting people accidentally and serendipitously! thanks to all of you for the hard work, support and organisation. The only bit that didn’t work was a sun am booklaunch, apart from that it was great, and I think theidea of teaming up poets would work even better as my only regret was clashing events that I wanted to be at (including anne schusters memorial the same time as my presentation 🙁 athough I did get there right at the end). Many thanks for putting together such a wonderful programme. One really was spoilt for choice when it came to choosing events to attend. The welcome breakfast was a delicious introduction to the weekend, which I thoroughly enjoyed. I hope to be able to be involved again. Thank you for a poetic weekend – filled with surprises and rhymes and laughter and celebration. I said thank you on Facebook on Monday, but I would like to say a personal thank you to you and the team for the wonderful way in which you made Poetry in McGregor happen again. It all seemed so relaxed, but I can image what planning and effort went into making it a success once again! Thank you for letting us have the beautiful Caritas as venue – as far as I could see, we had 17 people which is not bad for 9:00 on a Sunday. My multi-lingual collection will be published by Modjaji Books early in 2018 – please let me know when proposals for the next festival need to be submitted as I will be able to put something really interesting together. I hope you have been able to take a well-deserved breather after the hard work. Thank you to the team! From my heart I want to say thank you to Patricia Schonstein. Patricia read some of my poems at one of her events during the McGregor Poetry Festival 2017. Unfortunately I was not at the session (so many poets and not enough time), but I received feedback from friends at the event and Patricia was very complimentary about my writing. She said that people should be reading my poetry. Being a writer and a poet is a lonely occupation – when I get compliments like that I realise that I am doing the right think by following my passion to write, and it helps me feel less alone. BIG HEART to Patricia. You pipped me to the post with your email today, but I have been reflecting all week so far and meaning to be in touch to say an enormous thank you for a wonderful weekend of poetry. It was as always so inspiring to read and hear so much poetry and to relish the amazing setting too. I found some new poets, and finally got to see a few presentations from poets I had missed seeing last year. I even caught up with one of my old university professors (Ralph Goodman)! We are keen to re-use our presentation on the poetry of Stephen Watson in some capacity in Cape Town, so that will be great too. Please extend my heartfelt thanks to the Stipses too who gave me a lovely place to stay. I just loved walking everywhere and got to know the town in a whole new way with all the different venues this year. Wishing you all the best as you wind down and also hoping you and the team get a well-earned break. The weekend of poetry in McGregor is a unique experience in South Africa. An entire village is given over to poets and poetry. Every nook and cranny has poets, poems, poetic moments. Poets perform in pubs and in restaurants, they can be found squashed up in the lounges of residents, occupying the Groot Kerk on the road. Poems hang from the trees in the gardens of Temenos, flapping in the breeze, words from the rafters of the barns and the Moeder Kerk. The streets fill with music and the sounds of marching bands. The children of the village join in. There are book stalls and poetry tents, there are poets at tables willing to write you a few lines. Temenos and the village people hand over their homes and venues with great generosity. Poetry has very few platforms, little attention in South Africa. People are mostly afraid of poetry – the last time most people read it was when they were forced to at school. But poetry is alive and well among those of us who write. We live in the cracks and margins of literature, but we are here. I belong to a women’s group, and a regular group of poets, and I attend Off-the-Wall – a Monday night open mike venue for Cape Town poets. The Central Library has a champion in Marcia Raymond who organizes monthly readings in the beautiful Old Drill Hall that is now Cape Town’s library on the Grand Parade. But there are no other poetry festivals in the country; poetry hardly features at big festivals like the Franschhoek Festival, it is hard to find poetry books in mainline bookshops. They hardly stock any South African poets. If they do, they are on a bookshelf facing the wall at the back in the naughty corner. Colleen Higgs of Modjaji Books is doing a sterling job of publishing South African poets, but it is a struggle. Difficult to THANK you all adequately for all the work that made this event possible – probably the work doesn’t get easier or less, being that running the previous Fests have built up a Track of Capacities and Skills – . Please convey my individual G R E A T T H A N K S TO ALL WHO WERE PART OF THE SEAMLESS AND WONDERFUL CELEBRATORY weekend of Poetic Madness’. Your team that organized, hosted, funded, drove, swept – breathed as it all came together and GALLOPED through its track . ENJOYED is too feeble a word to describe the EXUBERANCE – INSPIRITED – SPIRITED – SOULFUL – -SPIRIT-FUL-WISE & WONDERFUL inputs and outputs from the tribe and troop of McGregor poets, poetry and poetics. Together, it seems that we ARE MARCHING TO THE HALLELUJAH chorus. So much deep wisdom in POETRY, in the soul and mind of POETS . So much Skill and Endeavour – Hope, faith and Love. So much Sacrifice and Prayer at the throne of the Gods and Goddesses of the Poetic realms – as they descended into the multitudes to feast on the many wordsmiths, old and young, experienced and newly-come, mentors and learners – all working for The Light. And as we weave back into familiar ways – we shall all be re-inspired in this Great Work, and we shall set to, again – renewed, refreshed – filled with the Light of Truth, beauty, Goodness. Companioned. Holding the flame of connection with many travelling the same Journeys. Raising the flag of the Poetic Kingdoms H I G H as we settle back and down to our work in the world. Thank you for another truly wonderful poetry weekend! It was a highlight for me to see the UWC students and to hear them read. Then some of the Post-doc fellows whom Julian May brought were in the workshop that I facilitated on Saturday afternoon. It was wonderful to have them there. I loved connecting with old friends and hearing new poets. And the village seemed to be sparkling all weekend. What a joy to have contributed in a small way to the Poetry Festival. It was a delight for my group of singers to have a ‘full house’ at Wahnfried, and cries for an ‘encore’ at the end (admittedly, we were caught short at this point, having sung our entire Beatles repertoire at the performance and not having any other sheet music with us – but luckily the audience were happy to hear another pop song that we had memorised – phew). The readings my mum (87 years old) and I attended were fully ‘sold out’ (luckily I had booked tickets in advance), so you must be thrilled to have more and more people coming to McGregor for the festival. For the first time I also attended an Open Mic reading – and was stunned by the heart-opening quality of the poetry. I was also surprised to hear how nervous some of the poets feel at sharing their writing with an audience. I hadn’t expected that. The organisation of the event was, yet again, like a finely-tuned-machine – so hats off to you and your team (committee and volunteers). Hope you are all basking in the affirmations & praise coming your way. It’s so well deserved! My comment would be directed at the entire Festival, which was organised impeccably, with the most impressive attention to detail. I can’t begin to tell you what an extraordinary experience I had at the festival. I was just writing to Billy about it, and telling him how it has given me a new context for my work, and a new sense of where its audience might be. I forged friendships with fellow-poets, and I felt a real sense of belonging. And I could feel that this experience was shared by many of the poets and readers I spoke to over the weekend. Thank you so much for the enormous part you played in all of this. Please accept my thanks for including me, an unknown in the field, on the programme. It was a great privilege. Particularly to have my sister hear aspects of my life in Poetry about which she knew nothing. She said she was in tears. That was not the intent but cathartic for her nevertheless as some selections I read had been for me – those written over a number of decades during traumas in and of our land. with some poets whose readings I unfortunately did not managed to attend because of my family commitment. I was particularly sad to miss the Sunday, ‘ Meister Eckhart’ chapel session. His work has long been of interest to me. As I live alone and have for a considerable time, and by and large out of the literary mainstream, it was delightful to interact with remarkable ‘overcomers’ and be reaffirmed in my belief of the importance of creative writers as a way forward for the healing of our Nation. Invariable this too is not always their prime intent but a tool of great gifting when exercised in love and healed-ness without guile and in truth about perspective and situation. There were only five people at my 9.00 a.m reading in the much appreciated deep tranquility of Poet’s Corner. Surely they were the five meant to be there if, like my sister, ears were open to the undertone. Thank you again for all the hard organizational work.It will long be remembered. Kindest regards to all and my best wishes. heel tevrede en los van litte. rustig in die skadu van haar rok se soom. woord, kos, musiek en ander voordragte. Thank you so much for this great initiative. It was such an uplifting experience and a vast opportunity to make new discoveries. I certainly would like to contribute to the ever growing narrative about the Festival, about the moving response to my presentation, the music of Francois Leroux and the supreme poetry of Joke Debaere in English, Flemish and French and the discovery of so many new dimensions of Afrikaans through Phillip de Vos, Lara Kirsten and Fanie Olivier. Fanie and I had such insightful exchanges about ‘The Polish mind and heart’. I’m very grateful to have entered this stream – to have been emersed in this wonder that you have created in McGregor. If someone had said five years ago that I’d be presenting poetry in McGregor, I’d have laughed them off! But the fact that it has happened has given me a sense of what is possible. Engaging with the ideas and personalities inside of the experience has been an awakening. The fascinating part of it is that each person engages with their own festival, with the choices they make to go and see this or that event, stop here for a minute, where it JUST SO HAPPENS that someone else has stopped there to spark an idea… I love that. First of all thank you for your beautiful space that you let the festival inhabit. My and Vangile’s poetry reading in The Well was so perfect. The space and water held us. I was quite overwhelmed by the festival- it is as Jennifer said, indescribable. So much beauty. Again, it was really an honour to perform in this beautiful and unique festival. Well done and thank you for all you physical and emotional and spiritual work. Thank you so much for putting on another fine show. I always marvel at how it seems to go off so well despite the complexity. Brava and bravo. Thank you and your team for all of the work that you guys put into the festive. I’ve pasted a poem, one that I read at the festival. Thank you very much for once again organizing such a successful celebration of poetry in McGregor. What a vibrant, inspiring gathering of poetry lovers from all over the country! The presentation of such a diverse range of poetry was very stimulating, and once again the charm of the village and the warm welcome from all at Temenos was a bonus. Dit was ‘n warrelwindbesoek aan julle skilderagtige bestaan tussen die berge, maar een waarop ek tien dae later nog steeds teer. Ek is so bly ons het afgery (dit was waansin as ‘n mens dink dat dit alles binne drie dae geskied het). ‘n Ware road trip was dit. Ek het behoefte gehad om die landskap te sien en te ruik. En dit kon ek weliswaar doen. Julle omgewing ruik net so wonderlik met die veldplante. Die gedigtefees het my verwagtings oortref. Ek het alles bygewoon wat ek kon en besef daar is meer wat ek wou bywoon as wat ek kon. Nietemin was dié waarby ek uitgekom het stimulerend en sinvol. Dit was vir my ‘n voorreg om te kon deelneem en ek sou graag in die toekoms weer betrokke wou wees. En dankie vir die reëlings in verband met my twee voordragte. Barbara van How Bazaar was vriendelik en gemaklik. Trouens, ek het in geen opsig enigiets anders beleef as vriendelikheid nie. Boonop was dit lekker om ou bekendes weer raak te loop en ook na hulle aanbiedings te gaan luister. Although my reading was poorly attended at least each of the couples that attended bought a copy of my book, which is a good sign. Empires are built one brick at a time after all. Thank you, I thoroughly enjoyed the rest of my time in McGregor and hope that the festival continues to go from strength to strength. Thank you so much. We got some fantastic feedback from both our shows (The Beats and Conscripts). We did the same Conscripts show at the Wordfest in Grahamstown in July and had a fantastic review from a young journalist (see link below). It was wonderful for me to be there at McGregor and to join Kris and Tauriq for these productions. I am very much a newly emerging poet and a stranger to performance too – so this really pushed my edge and has been a wonderful learning and growing experience. I am discovering the poet, story-teller and creative woman who has been buried deep in my psyche until very recently, and am thrilled. It is the last thing I would have imagined myself being, even 3 years ago. We brought these shows to McGregor with the express intention of bringing what we wanted to see more of. The performance of challenging poetry with a deeply personal and strong critical political flavour. We will certainly be continuing with this work and wanting to do more next year. I would like to add another suggestion for next year if I may. It would be great if some late night music and drinking venue was available for after the shows. This may add to the attraction for younger people. We also missed that. On friday eve we couldn’t find anywhere to get a drink after our show. Thanks again for a great poetry festival and all the hard work you and your team do to make it happen. It seemed to me that it was even better attended this year. So well done. A big THANK YOU from everyone at SLED to you personally and to the Festival Team, and each and every person who made our participation possible and so enjoyable. We all felt very welcome and included in the excitement of the Poetry Festival. It was a new experience and a highlight for all of us who were part of the SLED team. The Deaf children from Nuwe Hoop School in Worcester participated beautifully in their workshop, and we hope that many of them will look back in years to come and see the 2017 McGregor Poetry experience as a tranformative event in their lives. 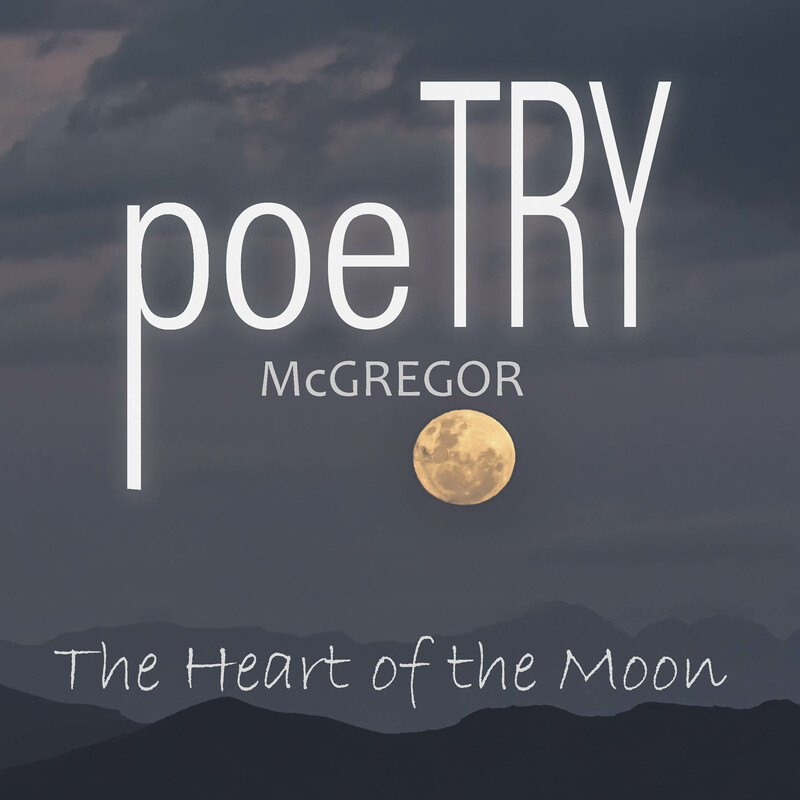 We are all looking forward to the McGregor Poetry Festival 2018…..
We hope that you have had a good time to relax after your dedicated work in this unique community event. Please forgive me for only responding so late to your mail and to the Festival this year. Thank you so much for all your efforts to create with your team, once again, a reverberating event admirably nourishing several basic human needs. Wishing you all the best. I hope for either a leaner programme or a more spread-out Fest next year – there were several events I would have dearly loved to attend, which clashed with other lovely events as well as my own performances. A difficult situation to remedy, I’ve no doubt. But Poetry is the winner in it all and that is what matters. I am at a loss for words to describe my gratitude to you and the organisers of an exceptional Rooted in Heart Poetry Festival. Thank you for the warmest welcome we could ever have wished for! From the minute we crossed the little bridge at the entrance to McGregor I felt my spirit fly! And from that moment on every minute was filled with unlimited joy. Having attended the 2013 and 2106 festivals I have to say that each time has felt like the best time. Rooted in Heart was an exceptional experience though. Firstly, as I presented my poetry for the first time (very nervous!) and had the pleasure of doing so as possibly part of the first brother and sister duo to present work separately at the festival. Everything was superbly organised and if I had a wish I would have the whole world attend the Poetry Festival in McGregor at least once. I met a lovely lady called Annie at the coffee cart on Friday morning and to my delight found her to be the person assisting at Poets Corner the next day when I did my presentation. I loved Poets Corner as the venue for my very first Poetry presentation, thank you. Billy at Temenos and all of his staff made us feel as if we were home from home, a big thank you to him! I also want to mention Karien at The Dragonfly. She blessed me with a beautiful Shell which I will treasure forever, it was a moment. Ilse Schutte, your very own Garagiste was fabulous, we wish her growing success with her enterprise, we loved her wine! McGregor has its own special magic. I have found the most incredible jewels there in terms of people to store in my memory jewel box. I left feeling spiritually, mentally and emotionally refreshed albeit tinged with sadness. It’s hard leaving the peace, beauty and warm hospitality that is McGregor to return to this crazy place called Johannesburg! Then last but not least a very big thank you to all the sponsors who contributed to the event and to all the residents in McGregor and surrounds for their amazing hospitality. Bring on the 2018 Poetry Festival, I can’t wait! “For you McGregor are my Serengeti, where I migrate to every year to revive my soul.” Collette Marais 2017. So many good things happened. I was staying in Athena and walking through the circular garden on Friday morning came across mirrors placed all over the garden and hanging in the trees together with poems all on the theme of mirrors and reflection. Half an hour later I was still reading the poems. Eventually I walked off and bumped into Lara Kirsten coming the other way. “You have to see this incredible installation with poems about mirrors – there’s a poem of yours hanging there”. “That’s my installation” she said smiling from ear to ear!! What s fantastic weekend and fantastic people. I enjoy the interaction as much as the poetry. Billy, I know you know this , but your team at Temanos and the team running the poetry are second to none. Thanks for creating a space called Temenos and conceiving and hosting this unique amazing event. It has to rank as one of the (if not the) most diverse, incredible poetry festivals that envelops a whole town for 3-4 days! Where else on the planet? I think it’s unequaled anywhere. Finally I always remind myself that things like this have to be treasured – not taken for granted. Long may the festival go from strength to strength! Thank you for your note. Thank you for once again including me in the beautiful magic and mystery that is the McGregor Poetry Festival. And thank you for making the festival happen. I feel at home at the festival and really do feel like family – I appreciate this deeply. It would be a blessing to spend more time with you and once my tour of studies is complete I fully intend to spend some time in McGregor outside of the festival. I have had wonderful feedback from those who travelled from Cape Town with the bus – the festival’s generosity to them and the warm reception was more than anyone expected. Thank you for supporting this initially crazy idea. I hope we can continue to share the beauty of the festival with a broad audience. I’ve only been to the festival twice (last year and this year) but it has quickly become much more than about poetry. It is a spiritual experience for me – something of deep beauty, a time of regeneration and affirmation. I feel lifted after my time there – even my poems emerge with greater meaning and more dimensions. Thank you for this gift. I’d also like to thank David and Jenny for their warmth, and Ian Summers for his generosity in hosting us. August 2018 could not come quick enough! It was a dive into the depth of heartfelt connections in words, gestures, images and music. The Festival was a meeting place for the unexpected and the miraculous. As a Dutch-English speaker I discovered new dimensions of Afrikaans in the ‘versies’ of Phillip de Vos (Woord en klank) with their gentile penetrating sense of humour and wisdoms and the moving poetry of Fanie Olivier (‘ou Laae’ and ‘oorstuur – ‘n siklus’) . Lara Kirsten solicited again my great admiration by the plasticity of her performance poetry and her beautiful verses in the 4th 2016 Festival Anthology. And then there were the caring observations of Nature in the sensitive and vulnerable warmth of Harry Owen’s poetry. Dorian Haarhoff’s ‘Remoulding nearer to the Heart’s desire’ probed the rhythm of the heart in a lively interaction with the audience. The session developed into an exchange of deeply personal experiences. The music of Francois Leroux and the supreme poetry of Joke Debaere (‘Ha!Man The HA! Of music and words’) in English, Flemish and French added a new dimension to a rich presentation of verse. Love poetry and social protests worded in strong but not violent statements with uplifting musical underlining. I fell deeply moved by the soft Flemish melody of her poetry, so beautifully captured and rendered into English on the CD ‘my road in your eyes’ which I acquired after their presentation. The Dala Collective: Lungiswa Nyatyowa and Mia Arderne (Couloured (me) black) offered a penetrating dialogue about ethnic perception and how diversity can travel from oppression, embarrassment to true empowerment. In the debate with the audience the diversity of McGregor was exposed and questions were raised about how upliftment can work through mutual commitments. Male chauvinistic adventures were out. People no longer want to be locked up in their often painful community histories. My own journey through Polish and Baltic Poetry crossed the roads of a companion connected to the same region, Fanie Olivier (The heart of Europe- Pole in poësie). We had insightful exchanges about ‘The Polish mind and heart’ and the heavy weight of history. My own presentation ‘heartfelt connections ‘A poetic journey through Poland and the Baltic states’ captured the audience and the presenter alike. One of the participants approached me in tears and greeted me in Polish. The poems and the song by Anna German ‘Warsaw in roses’ had brought her back to Poland. Her late husband was Polish. She sang me a Polish song. Poetry crosses time and space when the heart is touched. If feels like we haven’t seen each other in decades, since the aesthetic poetry festival I got to witness. Mcgregor Poetry Festival was a beautiful event to attend and witness different live performances. Even how the community welcomed us in their clean town, and also getting to experience poetry inside warm homes, that was top cherry. I just wanted to say we as Project Playground and Words or Spartans are truly thankful for thy opportunity. we truly had fun, gained a lot of inside and also did a lot of future net workings.